The Fulbright-Schuman Program made possible one of the most extraordinary experiences of my life. Even if I initially conceived it as a mainly academic project, I very soon realized that this would be a profoundly transforming and personal experience. 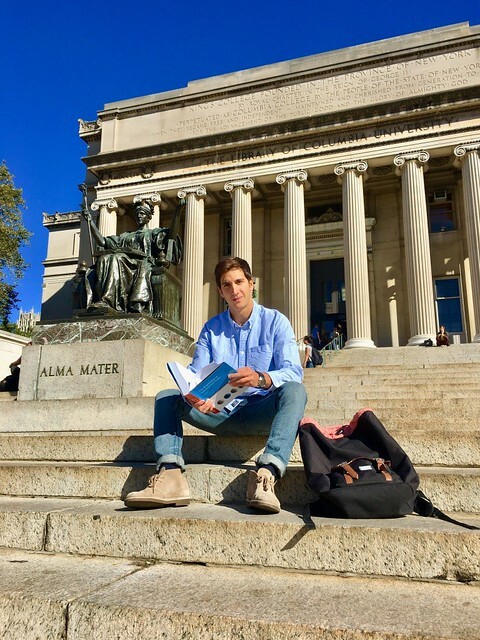 Being in New York City for six months to study at Columbia University was academically enriching and at the same time a unique opportunity to get to know and experience the US culture at first hand. I embarked on this journey in the summer of 2017. In early August, full of enthusiasm I arrived in Fairfax, Virginia for my Getaway Orientation at George Mason University. There could not have been a better way to kick off my US experience. In Virginia, I got to meet outstanding individuals from around the globe, and learnt valuable things about the US legal culture and history from its very heart: Washington D.C. Very soon all these people would become my friends around the country, building up a strong network, irrespective of where our universities were based in Austin, Los Angeles or Philadelphia! My Fulbright journey started off in Virginia, but it all happened in New York “The City that Never Sleeps”. Very soon I found myself in my small but cozy apartment in 111th Street ready to start my program as a Visiting Scholar at Columbia Law School. At Columbia Law School, I received a warm welcome by the University staff and professors. Professors and scholars were always available to discuss and comment on ideas and papers. I profited a lot from the interaction with the Law School’s faculty and the Visiting Scholars’ weekly forum, where I presented one of my papers. 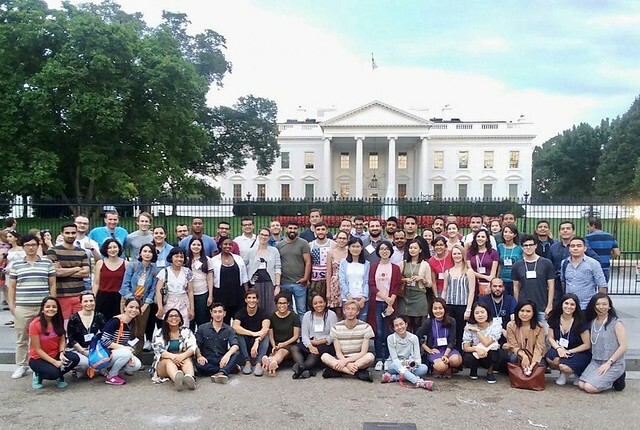 The Scholars’ community was a lively and intellectually stimulating international group of people eager to further legal research and discover NYC life! 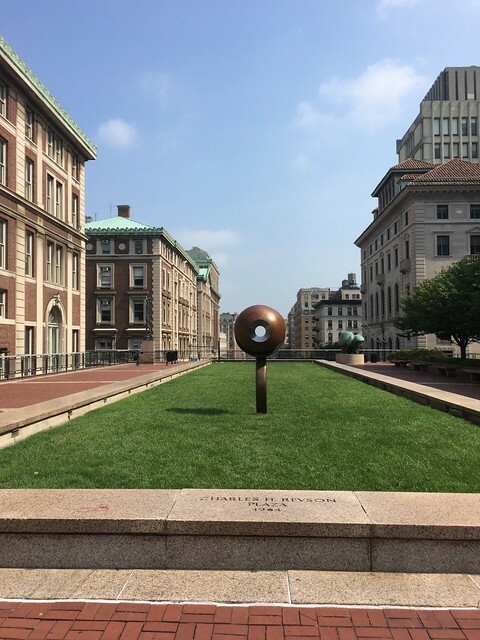 But above all it was Columbia Law School’s gardens and the majestic view opening up towards Manhattan that fascinated my eyes from the very first days. I remember gazing down Amsterdam Avenue during the long afternoons of research in the library, an image that I quickly became fond of as representative of New York and which I took back with me to Europe. There are many things I took with me back to Europe. I took with me priceless academic knowledge and the dynamics created by the interaction between professors and students. My peers interventions and comments challenging traditional teaching methods which made learning an experience of great fun. What I appreciated the most is the faculty’s combination of high academic expertise and deep understanding of legal practice. Having finalized this unforgettable Fulbright experience, I return to Europe with a strengthened legal background and with a new set of skills I definitely could not have acquired elsewhere. George Papaconstantinou is 2017-2018 Fulbright-Schuman Visiting Student Researcher to Columbia University. After receiving degrees in law from Democritus University of Thrace, KU Leuven, and the European University Institute, George began a PhD in Law at the European University Institute. He spent the past year conducting research on competition within U.S. and EU financial markets at Columbia Law School. Articles are written by Fulbright grantees and do not reflect the opinions of the Fulbright Commission, the grantees’ host institutions, or the U.S. Department of State. Previous articleSecure up to 70,000 USD to complete a Master of Arts in German and European Studies at Georgetown University in Washington, DC!